Vinnin Liquors is the premier liquor store in Massachusetts’ North Shore, serving locals and visitors from Boston, Nahant, Lynn, Salem, Marblehead, Beverly and the greater North Shore region. Our family-owned business has been operating an 8,500 sq. ft alcohol emporium for more than 45 years. Visit us for your one stop shopping beverage and party needs! Our vast selection includes every day, premium, and collectible liquors from around the globe along with an extensive wine collection from the world’s top regions. We stock over 1,000 popular beers, including many from the finest craft breweries,- and offer a wide variety of fresh cigars catering from the average smoker to the aficionado. Gift baskets, party buckets, specialty foods, and accessories are available for parties, events and everyday needs. Looking for that special gift? We stock many unique items from animal wine bottle holders to various types of glassware and more than 50 different gift bag styles to choose from. We are a full service establishment that makes every effort to fulfill your beverage demands. We host in-store tastings and events to help you learn more about all the incredible products and tantalize your taste buds! Our beverage catering service is available to assist with any special occasion or event such as weddings, backyard BBQs, office/corporate events, holiday parties, Bar/Bat Mitzvahs and most any type of celebration you can think of. Stop by our store today, order online, or call our staff to learn more about how we can help plan, order, and deliver beverages directly to your door! We thank you for continuing to support our local, family-owned business, and hope to continue providing the best liquor store selection and service in Massachusetts’ North Shore. We look forward to seeing you soon at Vinnin Liquors in Swampscott! Vinnin Liquor is a family run business open for over 45 years . We strive to exemplify excellent customer service, provide education and information for everyone’s beverage and entertainment needs. Service, Selection, and Price is our main focus in satisfying our customers needs. Vinnin Liquors is the best. The staff is very helpful and knowledgeable about wines. They always know the right wine for the right occasion and if they don't have the wine you are looking for they will find it. They also have the best prices around. Highly recommend Vinnin Liquors! Wow, what a scotch selection! They also ordered me two bottles of aquavit I haven't been able to find anywhere! Fantastic customer service! Neal has been with us at Vinnin for over twenty-five years. With experience in every department, he can help with everything from a match for tonight's meal to a hard-to-find special order. His aim is to to provide excellent choices among our selection for every occasion. 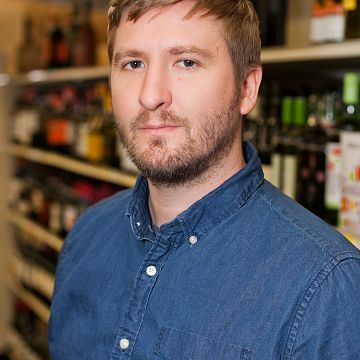 Gary has spent more than a dozen years in the industry with a specialty in craft spirits and cigars, but don't hesitate to tap his expertise in the wine racks or our vast craft beer section. He is always tracking the latest trends in every category. Like many on our team, Joe worked his way from part time stock worker to full time management. 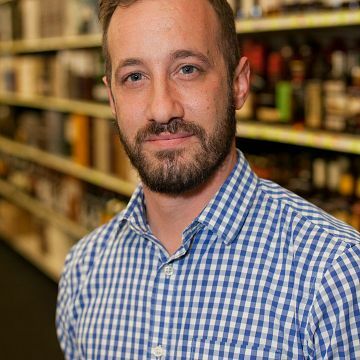 Along the way he's gained the knowledge and skill he uses in guiding our customers to the bottle that perfectly fits their needs. 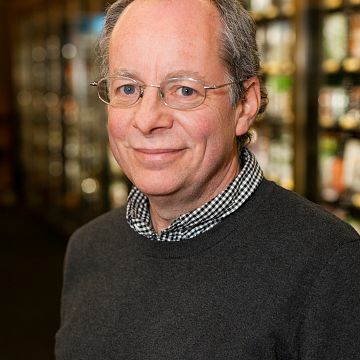 He is instrumental in expanding our vast and varied local craft brew selection. 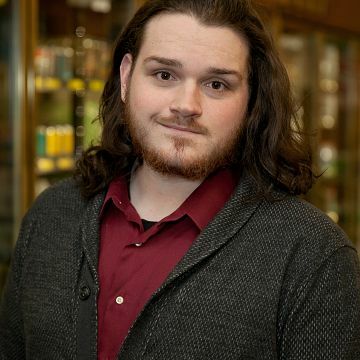 You will recognize Derek by his clipboard as he circulates throughout the store keeping our shelves full. He's also adept at building our displays and offering recommendations to our customers. His specialties include craft beer, red wine and Boston sports. Matt is the newest manager to join our team. After working his way up to management from stock in less than a year, he has spent his time here studying and accruing as much knowledge about the industry as possible. 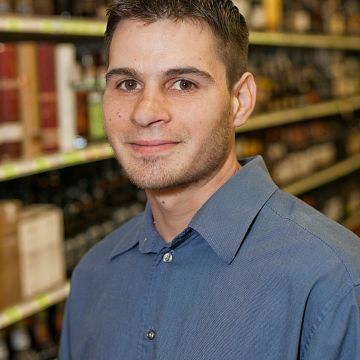 While he can help you in all departments, his passion lays with our ciders and meads. Matt is always looking for a chance to help or improve your shopping experience with us.